In a surprisingly quick move, after deploying the necessary military personnel and hardware in Latakia, Russian airplanes began bombing non-Islamic State rebel forces in the Aleppo region of Syria on September 30 and in the northern Hama province on October 7, supporting a major ground offensive of the Assad regime and its allied forces from Iran and Hezbollah. 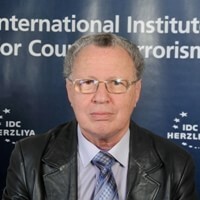 His assertion points to an important question: Is Russia's alliance with Alawite Syria, Shiite Iran and Hezbollah and the Shiites in Iraq a short-term pact of convenience to fight for the Assad regime's survival and to smother ISIS, or is it liable to become a long-term alliance that injects a Christian dimension into the existing Sunni-Shiite divide and thereby restructure the geopolitical relationships of some of the world's major players? Stunned by Russia's military operations and new combat allies in Syria, Sunni actors that oppose Syrian President Bashar Assad responded with intensified rhetoric. Turkish Prime Minister Ahmet Davutoglu reiterated that Turkey opposes any political transition in Syria that involves Assad. Saudi Arabia's foreign minister, Adel al-Jubeir, threatened his country would embrace a military option if Assad did not step down as part of a political transition. Such an option would likely involve boosting the co-ordination and co-operation between the most influential and effective rebel groups in Syria with Saudi Arabian, Qatari and Turkish support. Dozens of Islamist Saudi Arabian clerics who are unaffiliated with the government called on Arab and Muslim countries to "give all moral, material, political and military" support to jihad against Syria's government and its Iranian and Russian backers, portraying Russia's involvement as part of an Orthodox Christian crusade. Following this fatwa, the Sunni Islamist rebel group Ahrar Al-Sham, which is part of the Islamic Front alliance, issued a joint statementwith 40 other rebel groups calling for a “regional coalition” against Russia and Iran. The Syrian National Coalition, for its part, said on October 11 that it would boycott peace talks proposed by UN envoy Staffan de Mistura over the Russian air strikes, insisting that Moscow's campaign was incompatible with its Security Council membership and role in the talks. As for the United States, even though Washington had intelligence about Russia's intention to deploy in Syria, U.S. President Barack Obama appeared to be caught off guard by the bold Russian move. The administration reacted with contradictory steps. First, it hoped Russia would help it fight Islamic State, also known as ISIS or ISIL, and engage in dialogue to reach a diplomatic solution to the Syrian crisis. Later, however, it criticized the Russian attacks against moderate pro-Western rebels and attempted to arrange “de-conflicting” talks with Moscow to avoid accidental clashes between the Russian and U.S. militaries. Russia's presence in Syria is also driven by the domestic concern of a chronic insurgence and terrorism activity by various Caucasian Islamist and jihadist groups in the North Caucasus. These groups also operate in Syria and Iraq. The creation of a new ISIS "wilayat," or governorate, in the North Caucasus in June 2015 raised the threat of possible ISIS attacks in Moscow or other big cities. Russian officialson Monday reported that they foiled an ISIS-connected plot to bomb Moscow’s public transportation system. The Kremlin claimed that the terrorists had received their training in Syria. Furthermore, the 2,200 Russians currently fighting with ISIS in Syria and Iraq compel Russia to increase its counterterrorism operations in the region long-term. It may do this by sending to Syria Russian “volunteers,” currently fighting in Ukraine, or special ethnic units trained in Chechnya by former members of the Russian Special Forces’ Alpha Group. One can expect the Russian military intervention in Syria to be met by fierce opposition from Sunni rebels of all colors, united in their fight and emboldened with more sophisticated anti-aerial and anti-tank weapons from Saudi Arabia, Qatar and Turkey. Perhaps the Obama administration will also come to its senses and devise a strategy to challenge Russia. If this happens, Russia will need the support of Iran and Hezbollah on the ground in its strategic push to save Assad's Alawite regime. The first phase in achieving this requires ensuring the ongoing defense of the regime-controlled territory in Western Syria. Putin could then decide to push further in “liberating” more Sunni territory under a “united Syria” and get involved in Iraq against ISIS. The longer the Russian military campaign in the region, the stronger the alliance with Iran and Hezbollah will become, and possibly with the Baghdad Shia regime. The deep Russian military involvement in Syria is thus slowly leading to a de facto restructuring of the regional alliances, putting at risk the present U.S. and Western influence and creating new scenarios for potential clashes with the Russians. Prime Minister Benjamin Netanyahu's attempt to arrive at an understanding with Russian President Vladimir Putin over the countries' interests does not appear to have achieved much in securing Israel's interests in the face of this alliance. The follow-up talks between the Israel Defense Forces deputy chief of staff and his Russian counterpart in Tel Aviv on October 6 on how the two militaries can “de-conflict” didn’t appear to bring about any tangible progress either. In an October 7 interview, an IDF officer indicatedthat an agreement on modalities would take time. Until one is reached, he said, the Israel Air Force “will know how to take care of itself in problematic situations." The new Russian alliance puts Israel's strategic interests concerning Iran and Hezbollah at stake, and the Iranians will probably test the impact of their new alliance sooner or later, either in the Northern Golan Heights or in the Lebanese arena. If that happens, it would be wise for Israel to coordinate its moves closely with a more assertive American administration. It remains to be seen whether Putin’s promise that Russia “will always be very responsible” materializes, or if it prefers to defend its new friends.